Heritage has drilled over 25 wells in the Lake Albert Region - File Photo. Uganda is sitting on a ton of oil but questions remain as to what the government plans to do with the oil and the money it will bring in. Recent squabbles between the government and oil companies have made some observers anxious. Norway or Nigeria? This is the choice that the Ugandan government faces in its continuing decision-making with regard to how to manage the country’s estimated $50 billion in oil resources. Norway is one of the few countries worldwide that has successfully managed its oil resources for the benefit of the entire populace. Only two generations ago, Norway was a poor country with an economy based on farming and fishing. Norwegians were emigrating to the United States in droves, sending remittances home to support their large families. Then they discovered oil and inside of 30 years, the country was transformed to one of the wealthiest in the world. The development of their industry was managed centrally, transparently and smartly. It is an example of a country doing everything right in terms of their oil. Their reward: Wealth for all Norwegians for generations to come. Nigeria has unfortunately fallen on the opposite end of the oil story. Over 50 years of oil exploration and exploitation have left deep scars in this West African nation. Pollution is widespread and civil wars were fought and continue to be fought today between government forces and marginalized groups who reside in the oil-producing regions. Ordinary Nigerians have benefited little from the hundreds of billions of dollars of oil which has been extracted. It is the political elite and the multinational oil companies that have reaped from the country’s most valuable resource. The management of the oil was surrounded by secrecy, corruption and violence. Tens of billion dollars of the oil wealth was squandered and laundered to bank accounts in Switzerland. According to estimates, oil production is expected to begin in Uganda in 2011, though the peak flow of 150,000 barrels a day may only be reached by 2015 and could continue for 25 years. Over the next few months the media and the Ugandan people will be focusing all of their energy and attention on the upcoming election. All the while, the government and the country’s oil interests will be working overtime and behind closed doors to put into place Uganda’s oil management structure. MPs plan to table the Petroleum Bill 2010 before the end of the year that would overhaul the government’s management structure of the oil sector. In 1997, the Ugandan government awarded an exploration license to Heritage Oil Plc. to hunt for oil in the Albert Basin. 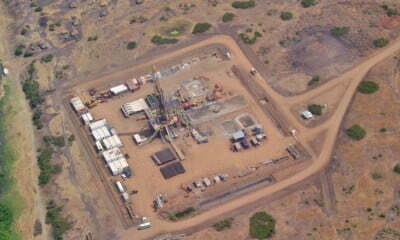 Heritage became the first oil and gas company to undertake exploration in Uganda in almost 60 years. Heritage Oil and Gas Limited (HOGL) was established in the late 90’s by Tony Buckingham, a former partner in the controversial South Africanbased mercenary outfit, Executive Outcomes (EO) which was formed in 1989. This group of mercenaries used to offer their services to different African governments and other powerful private companies. The first assignment for EO was to protect Ranger Oil Company in Angola which was threatened by the civil war. Other companies came on board and stated using EO. EO’s success in the Angolan oilfields earned it a contract from the Angolan government to provide men, training and weapons in the battle against the UNITA rebels led by Jonas Savimbi who was killed in February 2002. This contract, which was valued at US Dollars 40 million, was said to be partly made up of offshore oil rights. With this contract in their pockets, EO began looking for similar contracts elsewhere in Africa, and settled for the mineral-rich Sierra Leone, where in 1994, a growing rebellion was threatening to bring down the government of Valentine Strasser. Buckingham was also a leading figure in Sandline International, another mercenary outfit, together with a former British army officer, Lt. Col. Tim Spicer. At the beginning of 1997, Sandline was hired by the government of Papua New Guinea at a cost of 22.5 million Pounds to capture a copper mine from rebels on the island of Bougainville, but this mission went wrong. The mercenary team, which was led by Spicer, was thrown out of the country, and a commission of inquiry was set up by the new Papua New Guinea administration, where Buckingham’s involvement in that mess was ascertained. But as Heritage’s Finance Director told the Press, Buckingham and Heritage have a proven track record in finding oil. The rest is irrelevant. Heritage did find oil in Uganda. 28 of the 29 wells that have been drilled struck oil. There could not have been a better outcome for the company. In 2005 it sold half of its license to a company which was later acquired by Tullow Oil. Then in July this year, Tullow paid $1.45 billion for the other half of Heritage’s license. After it was revealed that the company had only invested about $130 million in its exploration operations, it became clear that Heritage had not just struck oil, it had struck gold. The problem with most oil agreements is that the country holding the oil will not make money from the oil until it is extracted and sold on the market. Business models for small companies like Heritage is to come to poor countries, explore for resources, find some (hopefully) and then sell off its operations to the highest bidder. It is a model built upon big risk and if successful, even bigger rewards. Since 1997, Uganda has seen companies come and go, some of them reaping sacks of cash based solely on Uganda’s oil potential. And the ordinary Ugandan, even those who live in areas neighbouring the oil fields, got nothing except for some schools and services donated by the oil companies. Many Ugandans, especially those in government, are getting impatient. On July 7, 2010, Tullow Oil announced that the Government of Uganda had approved the sale by Heritage Oil and Gas Limited of its 50 percent interests in Blocks 1 and 3A to Tullow. The government had also approved Tullow’s proposal to farm down (sell some of its interests) to other oil companies like China National Offshore Oil Company (CNOOC) and France’s Total SA. It was a huge payday for Heritage and Tullow, despite of the experts’ advice not to pay the full amount to Heritage, went ahead and paid Heritage the full amount. But soon after, the government announced that Heritage was required to pay capital gains tax of over $400 million under the Income Tax Act 1997 withdrawing its previous endorsement of the deal. Heritage disputed this, stating that no such taxes were paid upon Tullow’s earlier purchase of assets from Hardman Resources. Heritage insisted that the matter be referred to a court of arbitration in London. It is stipulated in the Production Sharing Agreement (PSA) between Heritage and the Ugandan government, a copy of which has been seen by the Kampala Dispatch (stamped January 23, 2007), that certain disputes be referred to external arbitration. Article 26 of the PSA states that “Any dispute arising under the Agreement which cannot be settled amicably within (60) days shall be referred to Arbitration”. The article goes on to specify that this arbitration take place in London. A prominent lawyer and tax expert in Kampala who preferred to remain anonymous because of the sensitivity of the matter told Kampala Dispatch that the signed PSA was flawed right from the beginning, and this was basically because everything was done in a secretive manner. “Why should the government of Uganda surrender itself to foreign jurisdiction when there are already laws in the country to be referred to?” he asked. Uganda did withdraw Tullow’s license for the Kingfisher field and afterwards tensions between the two parties increased. Questions arose as to whether this was part of a government plan to marginalize Tullow in favour of other oil companies – which according to some sources included Italy’s ENI and Libya’s National Oil Corporation. But all of these rumours were for naught when it was announced at the end of October that Tullow would in fact be paying the $400 million in taxes. It is unclear as of publishing whether or not Tullow will be absorbing the money or if Heritage will make the payment to Tullow. 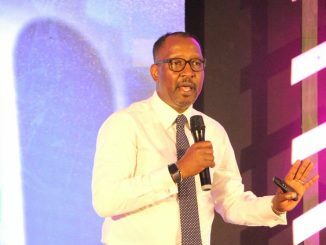 “Tullow can pay the money but they will also look for other ways to recover it, they might even play around with the oil production process or even evade some taxes to make sure that the money they have paid to government is recovered. After all it was Heritage which was supposed to pay and not Tullow,” a prominent lawyer said. The lawyer further said that Heritage received bad advice from some lawyers in town who argued that the oil company was not supposed to pay taxes on the monies accrued from the sale of their Ugandan interests to Tullow oil. It was established that a law firm in Kampala, Karugire and Kiwanuka Company Advocates, is the one that earlier advised Heritage that they were not obliged to pay taxes after the sale of their assets in Uganda to Tullow. This same firm, which belongs to President Museveni’s son-in-law, has filed a case against the government of Uganda in the Tax Tribunal, arguing that Heritage is indeed not supposed to pay the tax. The recent passage of the Income Tax Amendment Bill appears to have solved the tax issue for future sales. The Bill enables government to tax profits from impending oil production and to collect taxes if petroleum assets change hands between companies. There has been much talk and controversy over the secrecy surrounding Uganda’s Production Sharing Agreements. Different bodies including the International Monetary Fund (IMF) and the London-based activist group PLATFORM have made in-depth analyses of the documents and have come out with varying results. Our own analysis of the classified document reveals a deal that appears to benefit both the Licensee (Heritage, now Tullow) and the Licensor (Uganda). Under the agreement royalties range from 5 to 12 percent depending of the daily production rate while the government share of the oil profits range from 46 to 68.5 percent at peak output. It is this latter figure that has raised some concern that the agreement is slanted in favour of the oil companies. But as one expert revealed, it is the oil company who invests the time, energy and resources which will lead to the flow of oil from Uganda into the global market. The document goes on to stipulate everything from environmental protection and the training of Ugandans in the oil industry. Failure to comply with any of these stipulations will lead to a termination of the agreement. 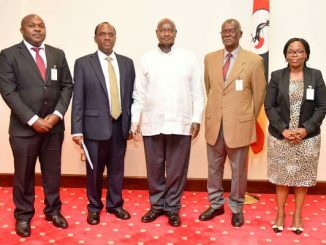 The agreement also opens the door to Uganda moving into a joint venture with the oil company which would ensure an even higher rate of profits. Overall what was agreed to by the government and the oil company seems to hold to industry-wide standards. So the question arises as to why the government continues to keep the document classified. Many experts we spoke to stated that such secrecy in a democratic state automatically leads to questions as to whether officials have nefarious plans for future oil profits. Tullow Oil (U) General Manager Brian Glover recently suggested that the documents actually should be released. “As we move closer and closer to production next year, one would like to think that the government would say [it] can make those available,” he said. Uganda’s Draft Petroleum Bill is expected to be tabled and discussed in Parliament prior to the elections in February. As the bill stands now, Uganda along with the post of Petroleum Minister who would oversee all future oil negotiations. The Bill would also call for the formation of a Ugandan National Oil Company to oversee and manage the oil production and exportation. As a government-owned entity, the company would gain capital from the sale of Ugandan oil and could potentially invest that money in projects in Uganda and beyond. And in 10 years or so, the Uganda National Oil Company could potentially buy some of the oil assets in its own country as Ghana’s national oil company recently did. But with all this potential comes many questions as to how Uganda will deal with the incredible revenue it stands to gain from its oil resources. Will they manage the revenue in secret or will it invite all Ugandans to participate in a national dialogue over how best to spend its oil wealth? 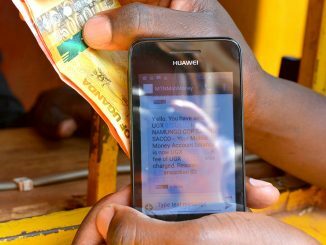 “Experience has shown that normally the problem is not the production-sharing agreements, but rather the revenue management,” said Kundhavi Kadiresan, the World Bank Country Manager for Uganda. So where did it all go so wrong for Nigeria? From the beginning, Nigeria made most of its oil-related decision in secret, most likely with the explicit goal of plundering the incredible profits. Experts argue that only through transparency and public scrutiny of oil deals can a country’s populace truly benefit. “I think that the magic ingredient that makes the difference is scrutiny of government by the country’s citizens. Unfortunately, scrutiny is a ‘public good’ – that is, if it is provided, the whole society benefits,” wrote British economist Paul Collier in his famous essay “Natural Resources and Conflict in Africa”. But scrutiny can only occur when certain information is made public. “Without transparency in revenues there can be no scrutiny of how they are used,” he continued. The charter’s 12 precepts range from maximizing benefits for citizens to openness and accountability to building private investment. Groups and organizations around the world are working with developing countries all over the world to ensure that wealth from natural resources are not subject to graft or, even worse, used to fund civil wars or even terrorism. Of course it is difficult to compare Uganda (population 32 million) with Norway (four million) and Nigeria (180 million) but the truth is that Uganda is coming to the oil game late. It can choose to learn from the mistakes of its African brothers and sisters or it can choose to plunge blindly ahead guided solely by the self interests of a few. Whichever route it chooses, these few decisions will affect the lives of ordinary Ugandan for decades to come. Uganda will probably never reach either of the extreme cases mentioned here. It will probably land somewhere in the middle but the question remains which way will it lean?